“When I work on a customer’s car I don’t guess what is wrong and bolt on new parts. I don’t hope I fixed the car. I use my experience, training and the latest diagnostic equipment to fix the car. 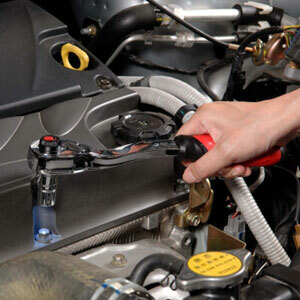 Quality work at the lowest price keeps people coming back to Complete Discount Auto Repair. The difference between working and being the owner is that I care and I will always be here”. Previous to owning Complete Discount Auto Repair, Serge was a national automotive chain district supervisor.